No tricks ... just treats! Tuesday night was my annual Halloween Treat class and I had a lovely group of ladies attend! 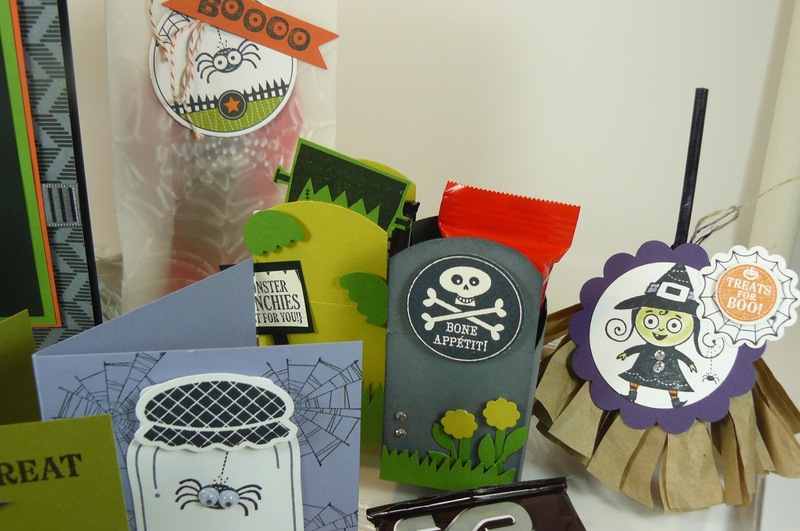 We had lots of fun and there was certainly enough chocolate! 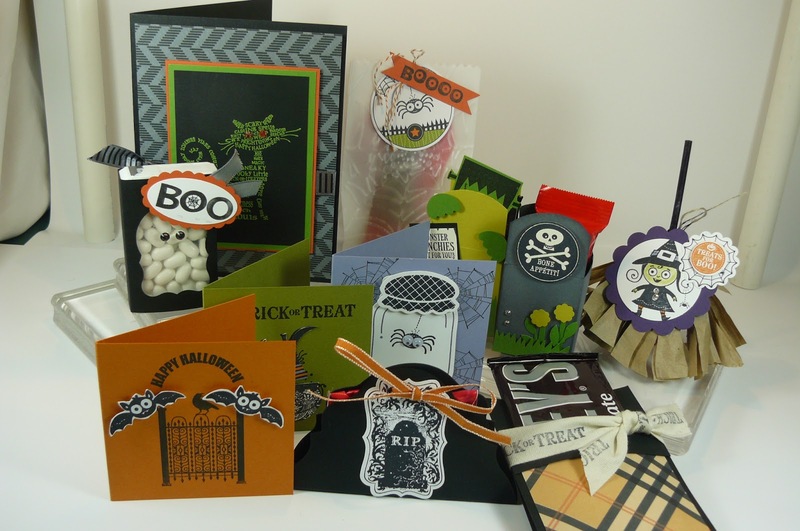 I bought out the stores and made a goody bag for each lady to fill their treat containers, plus extra!!! 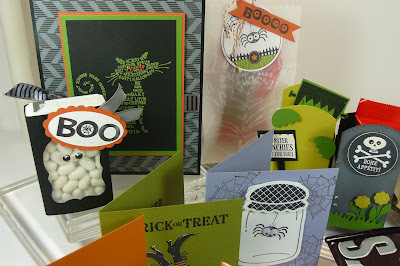 Here's photos -- no time to post details but I will say that most of my ideas came from Stampin' Connection (SC). 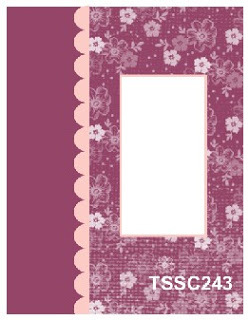 SC is an online, invaluable resource to me and all Stampin' Up! 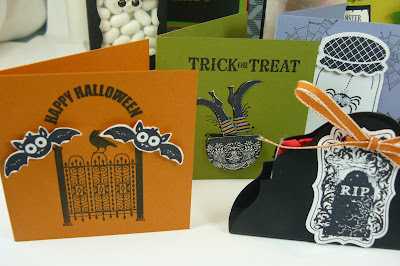 demos when I need ideas for a specific card type, stamp set, paper, holiday, etc.! This was no exception! 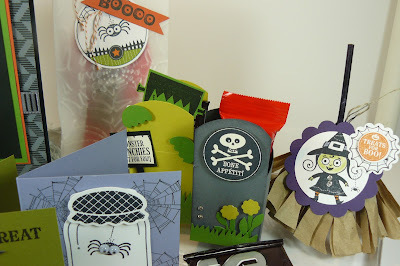 I used multiple stamp sets and I'll probably forget one or two: Monster Munchies, Googly Ghouls (my fave!! ), Toxic Treats, last year's (but still current) Wicked Cool, and the hostess set, Mixed Medley. 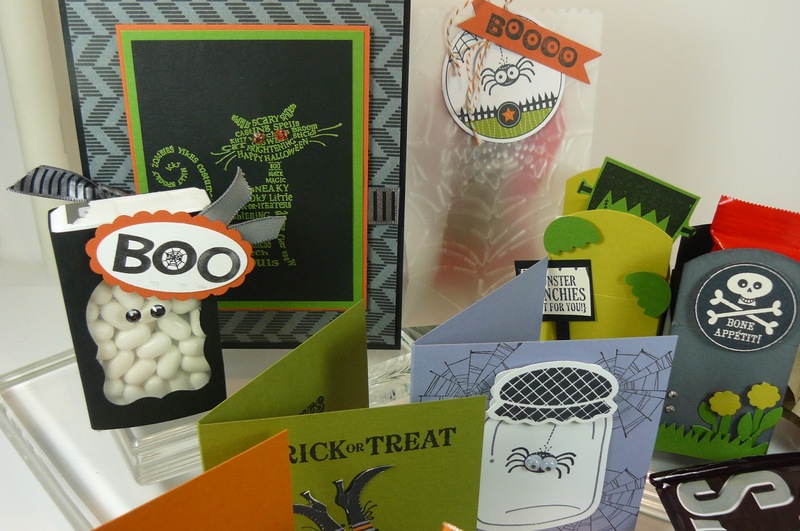 Oh yes, I also used Perfectly Preserved and the Cannery framelits for my "preserved spider 3x3 card that you see! I met with my upline yesterday and she encouraged us to participate in Mary Jo's Sketch Challenge. The challenge was even greater because we (my upline and 3 other demonstrators besides me!) 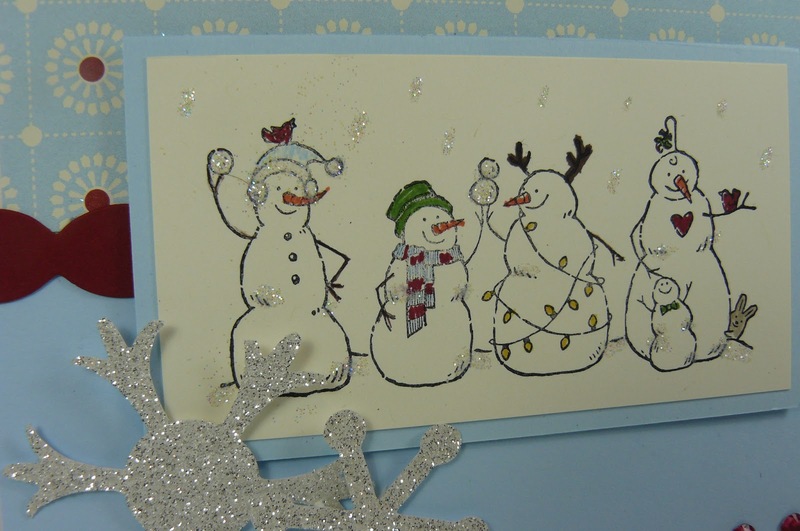 all had to use the Frosty Friends stamp and choose a patterned piece of paper (preferably different but that didn't end up being a requirement as Marilyn and I both chose the same one unknowingly!) from the Festival of Prints pack. 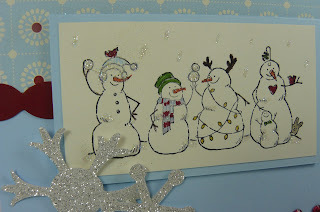 I really love this Frosty Friends stamp set. 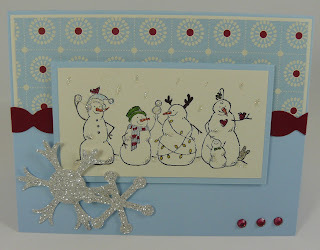 It's one of the single stamps available in the "not so mini" Holiday Mini Catalog until the end of December. I flipped the sketch and made my card more horizontal than the sketch above. The little jewels in the corner are our jewel rhinestones that I colored with a red sharpie. I love that I can match my jewels and pearls to any color scheme! 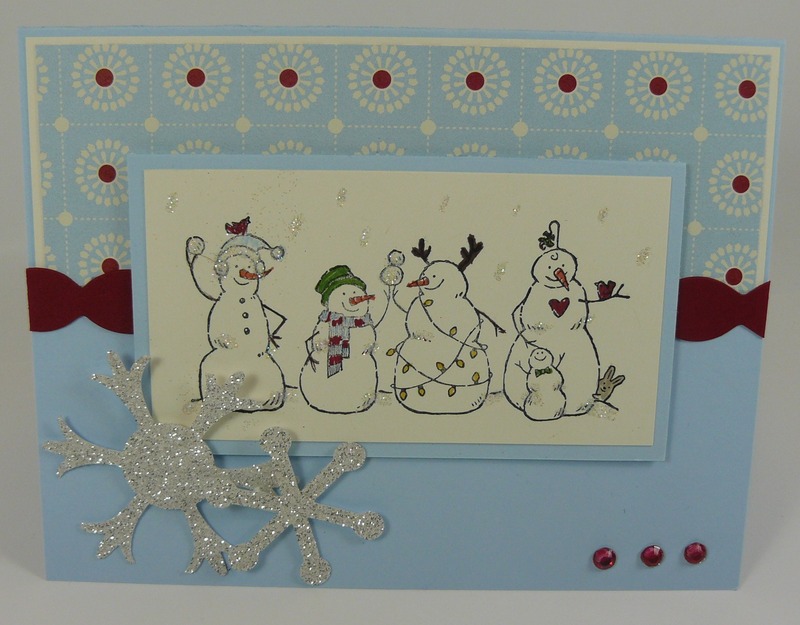 The finishing touch was the snowflakes, cut out with the new Snow Flurry Bigz die and the silver glimmer paper. You can almost see the glittery snowflakes in the air (Dazzling Diamonds is my friend!) and on the hats, trim, etc.